I've given the old bank balance a rest this week but it's been Ava who has been rocking something new. 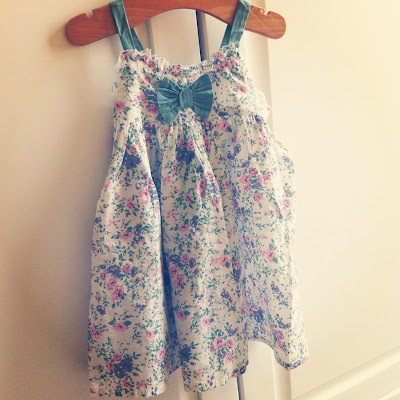 This gorgeous Benetton dress was sent to us for review by the lovely folk at Zalando. You can read the full review here. I haven't been watching anything note worthy this week but if there are any shows you think I'd like please feel free to share!! 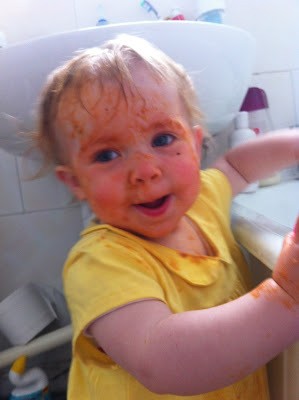 Just had to share this picture of Ava's VERY orange face after smearing her spag bol all over it! 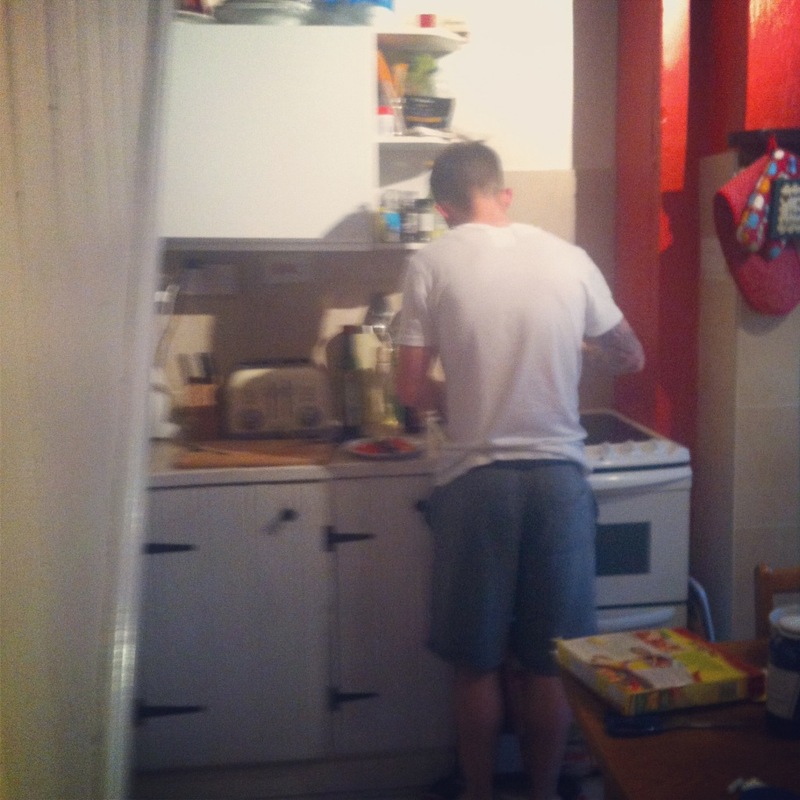 Nath also cooked for me! It was chicken fajitas and I didn't die! Result! In all seriousness they were very nice and I was very grateful. Today has not been a great day. I had a minor procedure done this morning and it didn't go very well. It left me in a lot of pain and although I went to work I left early. Not before stocking up of a few treats from Tesco. 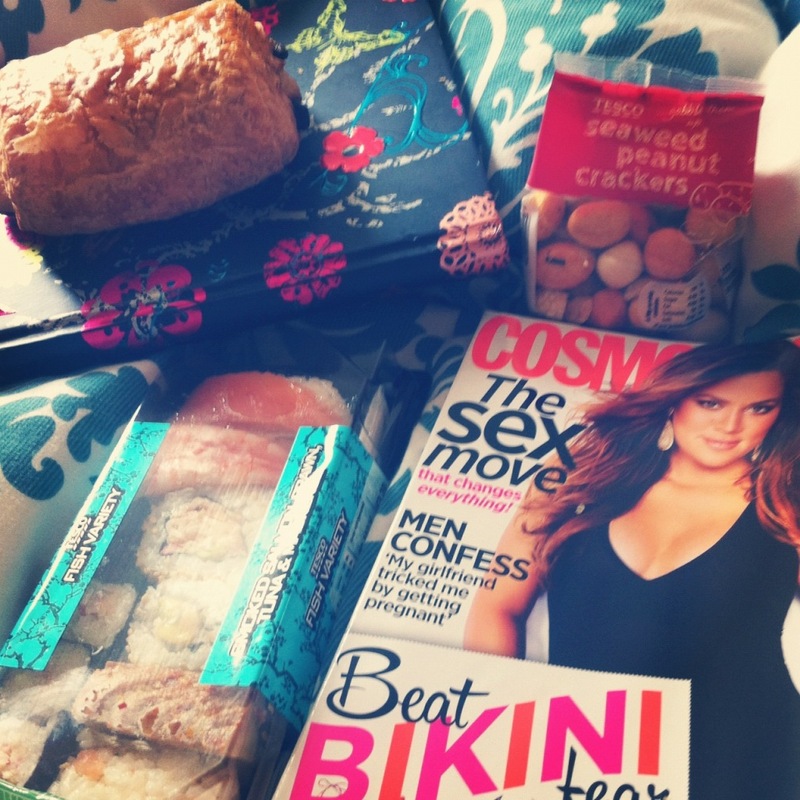 Sushi in bed anyone? This time next week I shall be at my mum's having a bit of R & R. I cannot wait!! 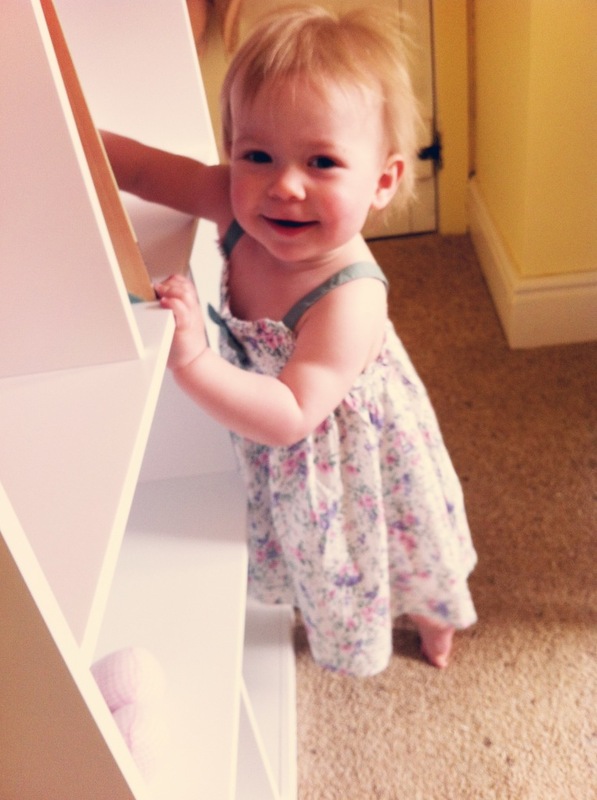 Ava is now walking!! I have a video but it won't upload so I will try and add it to my next post. She's still a bit unsteady, like a drunken dad at a disco but she's getting there. 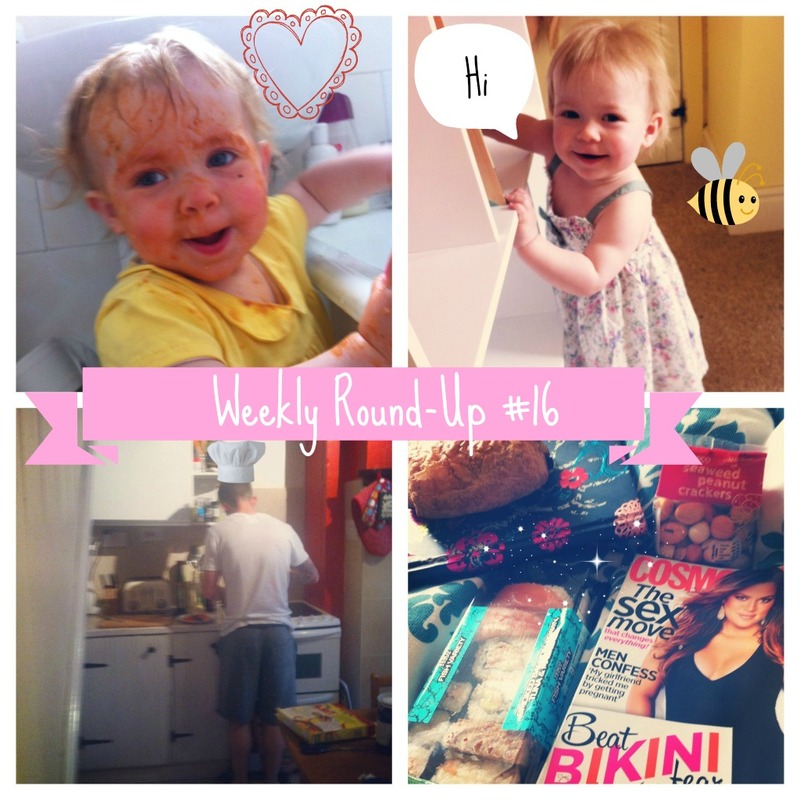 Looks like you have had a wonderful week. Don't babies look so cute with food all over their faces. lol!